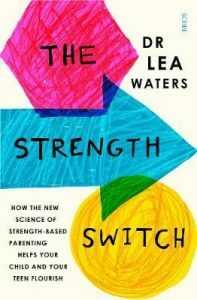 This is a book review of the Strength Switch by Dr Lea Waters. 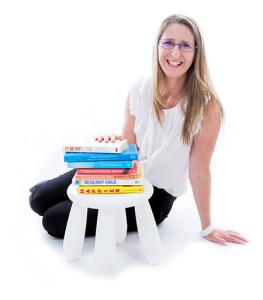 The book focuses on how to use strength based parenting to not only bring out your child’s best, but also support them to develop resilience and deal with the challenge’s life brings. Please keep in mind this is my interpretation of the book and review is simply the things that stood out to me personally. I’ve laid it out as the book is presented, and have kept it to dot points. If you are missing a little context, I highly suggest grabbing the book for yourself. Strength based parenting is like gardening. Not only do you need to remove the weeds, but more importantly you must provide the right soil, levels of sunlight, water, fertiliser etc. Negativity bias – We pay more attention to negative information, events and emotions than we do to positives. Projection – An unconscious focus on weaknesses others have, that we identify in ourselves. Eg. If I am a poor communicator, I’ll be particularly hard on others who lack communication skills. Binary thinking – Using labels and placing ourselves and others into boxes or categories that limit potential and opportunities. The strength switch is about remembering to tune into strengths in self and others, literally like flicking the switch from the negative to the positive. It has the ability to reorient your focus onto what’s working and delve into the positives of both people and situations. Neurogenesis is the brains process o f growing new neural cells, approximately ten thoughts new cells each day, and eliminating brain cells that are no longer used or required. The brain changes even after a single new experience, it prompts two neurons to temporarily connect, and if the activity is never repeated, this new neural connection will quickly break and the neurons drift apart. But if the activity is repeated, the neural connection grows stronger, making the activity easier and promoting learning and competence. Practice develops new neural pathways. Synaptic elimination is what happens when two neurons drift apart. Trying to remember past presidents was important at school, that information, no longer being required, has succumbed to the process of synaptic elimination, and is not available anymore. Strength development happens where ability meets effort. The process of SBP enables children to internalise their own strengths and learn to see them as internal resources they can draw on to both pursue their interests and meet challenges. The average 2 ½ year old child has about 50% more neural connections than the average adult. In childhood the brain overproduces grey matter until the age of around 12, at which point synaptic elimination ramps up, called neural pruning, naturally culling unused neurons. At the age of six a child’s brain is only 5% smaller than an adults brain. Up to the age of 12, the prefrontal cortex and limbic systems form at approximately the same rate, then the limbic system accelerates with rapid growth. This uneven expansion of the limbic system is why the teen years are associated with emotional outbursts, impulsive behaviour, sensation seeking and risk taking. Teens are designed to see the world in the here and now, and logical processes are yet to develop and catch up. There are three broad phases of strengths development according to Benjamin Bloom, PhD. The early years – Curiosity’s develop and when followed lead to strength development. Allow ample opportunities for children to play and pursue multiple interests. The middle years – Passions begin to emerge and children become invested in activities that speak to their strengths. Opportunities to hone strengths are essential in this phase. The later years – In late teens, the brains prefrontal cortex is catching up enabling more higher thought and better judgement and decision making. This is the time they can achieve high performance and even mastery in particular strengths and activities with constant support and opportunities to practice. Mindset management – Dweck identifies two mindsets. Fixed and growth. Encourage growth mindset by demonstrating that success relies on effort and that anyone can improve any skill or strength with practice. Role modelling – Demonstrate how you utilise strengths in your own life and create an awareness around the language and opportunities to practice strengths. Scaffolding – Provide opportunities and resources for children to build on existing strengths and develop additional strengths. Proximal development practices – Keeping children in the zone of competence, where they feel they can enjoy the challenge, but find it difficult enough to require their attention and dedication to make it work. Enough enjoyment and challenge to simultaneously provide both opportunities for fun and growth. Directed attention – Deliberately focusing on something and holding that focus to the exclusion of all else. This is essential for practice and strengths development. Free form attention – Goofing off and allowing your mind to wander with no direction or agenda. Happens when we give ourselves downtime and is essential to embed learning. Goofing enables strengths to be processed and improves decision making. Play has also been shown to improve academic performance. A three-year-old can hold directed attention for around 3 -5 minutes, at the age of six, attention can be sustained on average for 10 minutes. At 15, attention expands to around 20 – 35 minutes and as adults we seem to maintain this level of focus and attention moving forward. When children are directed to utilise their strengths through strength based parenting, their attention span increases naturally and is then applicable to other areas of life. Gratitude is actively noticing and appreciating the things around you and is central to strength based parenting. It’s the culmination of attention and savouring and adding in active acknowledgement. The prosocial element of gratitude makes it a powerful intervention for a family. Gratitude is linked to a wide range of benefits from self-discipline, emotional warmth, altruism, positive moods, self esteem and life satisfaction. One study conducted by Alex Wood, PhD of University of Stirling found that people who practice gratitude before they sleep, fall asleep faster, sleep longer and report a better quality of sleep. Gratitude practices include what went well, gratitude jar, gratitude board, gratitude stickers or letters, gratitude journal, gratitude walk, acts of gratitude. Mindfulness has three simple steps. Focus your attention on a single thing, notice when your attention wanders off, bring your attention back to the original point of focus. Letting go of judgment is essential for mindfulness, it’s attention without the critical analysis that normally accompanies it. Mindfulness enables us to be present and acknowledge thoughts and emotions, reframe any negatives, consciously choose actions and be a positive role model for our children. One study indicated our minds are wandering off task around 47% of the time and our mood is best when we are engaged in the present moment. Mindfulness has also been shown to boost optimism, resilience, self-acceptance, calmness and general wellbeing and decrease stress, anger and anxiety in school populations. The more mindful the parent, the more mindful the child and the less stress experienced in the family. Mindfulness can help us to slow down, acknowledge difficult situations and consciously draw on strengths to utilise. Emotion coaching, developed by John Gottman, enables children to appreciate that all emotions are relevant, to increase their emotional vocabulary and learn to deal with both positive and negative emotions effectively. Self control is our ability to stick to our plans, attention is our ability to stay focused. Building self control in one area, for example improving fitness, improves self control in other areas. Setting goals and sticking to them is the key to improving self control. We spend about 50% of our lives having desires and impulses and three to four hours each day trying to resist them. On average we cave into our desires around 60% of the time. Self control only comes online at around the age of 7 – 9, with only around 30% of six year old’s being able to delay gratification. In the teenage years self control slips again as our limbic system, the emotional and impulsive part of our brain develops more rapidly than our prefrontal cortex. Self-control is more important in predicting grade point average than IQ. It also develops confidence and prosocial behaviour and reduces depression and risky behaviours. Children with high self-control grow into adults with greater physical and mental health, higher educational attainment, fewer substance abuse issues, better saving behaviours, greater financial security and fewer criminal convictions. 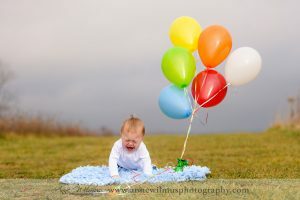 Practice emotion coaching – naming emotions and accepting them diminishes our need to suppress them and drain our self-control. Experiment with habit changes – Goal setting and attainment builds self-discipline. Positive parent communication and strength based parenting is associated with higher capacity for learning, decision making, improved social skills and emotional functioning. Even low levels of negative communication can adversely affect a child’s brain. 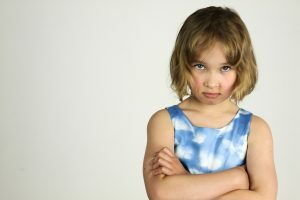 One research study of 5th graders and their parents indicated that when faced with their child’s display of negative emotions, 44% of mums and 64% of Dads reacted coldly. Generic praise – “Good job.” Not specific and gives no indication of strengths. Process praise – “You worked hard, well done.” Highlights the effort applied and supports the development of a growth mindset. Person praise – “That’s a beautiful picture, you’re so talented.” Indicates natural skill and negates the effort applied. Strength based praise – “I can see you’ve used both your creativity and persistence to create such a beautiful picture. Well done.” Highlights the strengths and effort. Strength based discipline is about supporting a child’s learning through helping them see their strengths they can apply to given situations or how they may have overused a strength they have. Shame involves making a child feel unworthy and invokes punishment and can lead to poor self esteem, anxiety and depression. Guilt on the other hand helps the child understand they have done the wrong thing and learn to behave more appropriately in future. Check if it’s the overuse of a strength – Was the use of humour appropriate or unkind? Check if it’s strength underuse – Could more patience have helped? Is it the shadow side of a strength – Curiosity gone too far is nosiness. Focusing in on strengths is like standing at the top of two ski runs, one is double black diamond, the other a calm green run. Choosing the easy path happens when we bring strengths into focus and allows us to show others the easy way too. This was a great read and once I finished the book I immediately signed up to the ‘strength switch’ online course. I really believe that if we all took this focus, we’d live in a very different world. Good luck!